Polling to come out of the Built In Hold (BIH) for the start of the window was resulted in a GO from controllers, bar a “beacon issue” on the Eastern Range. The issue failed to resolve during the 20 minute launch window, with the final T-0 option of 08:25 UTC removed as an option, following a no go on the final poll to come out of the hold. No further information is available at this time, prior to the scrub statement from ULA. However, it has been claimed that if the vehicle anomaly team was working the beacon issue, the problem may be with the Atlas V C-band system, relating to it failing final checks, or suffering from a problem with the signal. NASA manager Tim Dunn also noted the C-Band system is the likely cause, after the frequency was seen to be “drifting” with the Eastern Range system. The vehicle was placed into a 24 hour scrub turnaround, with the next attempt being Saturday morning, with a T-0 set for the same time of 04:07 am local. With the C-Band issue on the Atlas V classed as something that they were comfortable to launch with – as opposed to requiring a changeout – the ULA and NASA teams prepared for a second attempt on Saturday. With the vehicle now showing no issues, the Florida weather decided to get in on the act. Despite a 60 percent chance of acceptable conditions at T-0, four red weather violations failed to clear throughout the 20 minute window, resulting in a scrub. A third attempt was scheduled for Thursda,y August 30, with the window opening at 04:05am Local (08:05 UTC). 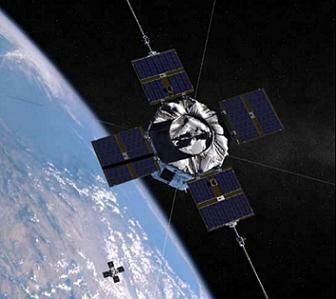 The Radiation Belt Storm Probes are two satellites which will be used to study the Van Allen radiation belts surrounding the Earth, and to investigate how they are affected by solar activity. 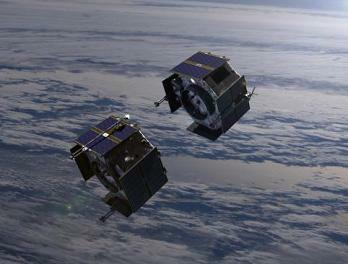 The use of two satellites allows data to be collected simultaneously at two points in space. The Van Allen Belts are two tori of trapped particles surrounding the Earth; an inner belt comprised of energetic protons and electrons, and an outer belt of electrons. The belts were discovered by Dr. James Van Allen in 1958, having previously been theorised by other physicists. Their discovery was based on data collected by the first US satellite, Explorer I. The RBSP-A spacecraft has a mass of 647.6 kilograms, including 129.6 kilograms of instruments, and 56 kilograms of hydrazine propellant. RBSP-B is slightly heavier, with a mass of 666.6 kilograms, as it carries mountings to which RBSP-A will be attached for launch. 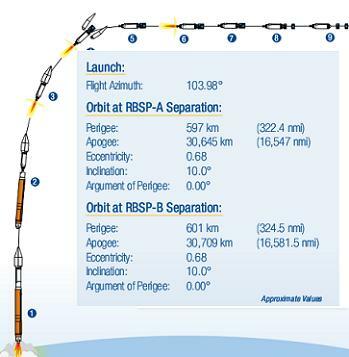 RBSP-A will operate in a 500 by 30,050 kilometre orbit, while RBSP-B will operate in a 675 by 31,250 kilometre orbit. The orbits are inclined at ten degrees to the plane of the Earth’s equator. The spacecraft have an octagonal prism shape, constructed mainly of aluminium, with a diameter of 1.8 metres and a length of 1.3 metres. Each carries four deployable solar panels to provide power and two s-band antennae for communications with Earth. Propulsion is provided by eight MR-103G monopropellant thrusters, produced by Aerojet. Each satellite carries five experiments: the Energetic Particle, Composition and Thermal Suite, or ECT; the Electric and Magnetic Field Instrument Suite and Integrated Science, or EMFISIS; the Electric Field and Waves Suite, or EFW; the Radiation Belt Storm Probes Ion Composition Experiment, or RBSPICE; and the Relativistic Proton Spectrometer, RPS. ECT is a collection of three instruments which are intended to study energetic particles in the Van Allen belts. The Magnetic Electron Ion Spectrometers, or MagEIS, are four spectrometers which will measure electrons and ions in the belts. The Helium Oxygen Proton Electron, or HOPE, instrument is a mass spectrometer which will study the detection rates of Helium and Oxygen ions, protons and electrons. The third instrument, the Relativistic Electron Proton Telescope, or REPT, is an array of solid-state detectors for high-energy electrons. EMFISIS consists of a three-axis fluxgate magnetometer and magnetic search coil, mounted on three-metre (ten-foot) booms on either side of the spacecraft. It will take measurements of the magnetic and electrical fields in the radiation belts, looking for waves within the plasma. EFW consists of two 50-metre (164-foot), two 40-metre (131-foot) antennae, and two six metre (20-foot) booms, which will be used to collect data on the electrical field. RBSPICE will use a spectrometer to study electrical currents in the plasma surrounding the Earth, and to determine whether this affects the Van Allen Belts. RPS is intended to use spectrometry to measure very high energy protons, which are potentially damaging to spacecraft. Data it collects will contribute to the development of radiation hardening for future missions. The US National Reconnaissance Office is listed as the instrument’s principal investigator; however the results will be shared by the NRO, NASA, the US Air Force Research Laboratory, the Los Alamos National Laboratory, the Naval Research Laboratory, and the Aerospace Corporation. RBSP is the second mission to be launched as part of NASA’s Living With A Star programme, following the Solar Dynamics Observatory, SDO, which was launched in 2010. 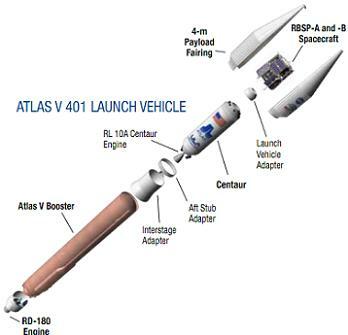 The RBSP spacecraft was launched by an Atlas V 401 carrier rocket, with the tail number AV-032. It was the thirty-second Atlas V to fly, and the thirteenth in the 401 configuration, which consists of a Common Core Booster first stage, with a single-engined Centaur upper stage. The payload was enclosed within a four-metre payload fairing, while there were no solid rocket motors attached to the first stage. 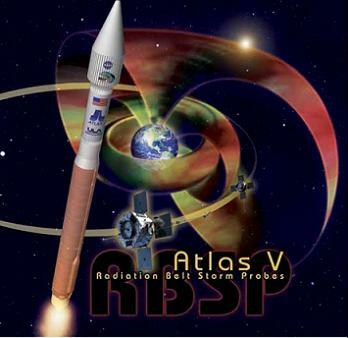 The launch of the Radiation Belt Storm Probes was just days after the tenth anniversary of the Atlas V’s maiden flight on 21 August 2002. The maiden flight also used the 401 configuration, and successfully deployed the Hot Bird 6 satellite (since renamed Hot Bird 13A), for Eutelsat. At the time, the Atlas V was operated by International Launch Services, a company which now only offers launches aboard Russia’s Proton-M carrier rocket. Of the thirty one launches conducted to date, thirty have been successful. The exception was the June 2007 launch of USA-194, or NROL-30, which suffered a fuel leak due to a faulty valve on the Centaur. This resulted in the spacecraft being placed into a lower than planned orbit, however they were able to use their own propulsion systems to correct their orbits. It is suspected that this manoeuvre resulted in a reduction to the operational life of the spacecraft; however since they are a classified NRO mission, details have not been made public. The Common Core Booster is powered by a Russian-built RD-180 engine, which burns RP-1 propellant. A US-built RL10-A-4 engine powers the Centaur, burning liquid hydrogen. Liquid oxygen is used to oxidise the propellants in both stages. When the countdown reaches T-2.7 seconds, the RD-180 engine was ignited, building up to full thrust by the time the countdown reaches zero. Liftoff occurred 1.1 seconds later. At T+17.3 seconds, AV-032 began a series of roll, pitch and yaw manoeuvres to attain the necessary attitude for its ascent to orbit; heading East over the Atlantic Ocean at an azimuth of 103.98 degrees. AV-032 passed through the area of maximum dynamic pressure 91.1 seconds after launch. Four minutes and 3.4 seconds after launch, Booster Engine Cutoff, or BECO, occurred; the shutdown of the RD-180 engine following the completion of first stage flight. Six seconds later, the Common Core Booster was jettisoned, leaving the Centaur to continue to orbit with the satellites. Ten seconds after staging, the Centaur’s RL10 engine ignited to begin its first burn. The Centaur’s first burn lasted nine minutes and 17.4 seconds. Eight seconds into the burn, the payload fairing separated from around the spacecraft. Following the end of the first burn; Main Engine Cutoff 1 or MECO 1, 13 minutes and 36.8 seconds after launch, the Centaur entered an extended coast phase, lasting 55 minutes, 48.3 seconds. Upon reaching the end of the coast phase, the RL10 ignited again for a four minute 38.9 second burn to reach the target orbit for spacecraft separation. Following MECO 2, the Centaur reoriented itself for spacecraft separation, and begin a roll to achieve a rotation rate of 5 revolutions per minute. Four minutes and 46 seconds after MECO, 78 minutes and 50 seconds after liftoff, the first spacecraft separated. Following the separation of RBSP-A, the Centaur manoeuvred back to its flight orientation, and used its reaction control system to raise its perigee by 4 kilometres (2.5 statute miles, 2.2 nautical miles) and its apogee by 64 kilometres (39.8 statute miles, 34.6 nautical miles). Twelve minutes and 14 seconds after RBSP-A separates, and following the Centaur reorienting itself back to deployment attitude and spinning up again, RBSP-B followed its sister craft in separating from the Centaur. RBSP-B separation came approximately 91 minutes and four seconds after launch. The target deployment orbit for RBSP-A is 597 by 30,645 kilometres, at 10 degrees inclination and with an argument of perigee of 0 degrees. RBSP-B is targeted for 601 by 30,709 km with the same inclination and argument of perigee. 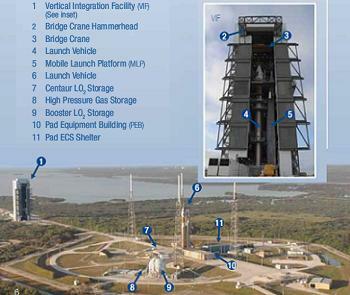 The RBSP launch was the sixty-third to be conducted by United Launch Alliance. Formed in 2006, ULA operates the Atlas V, Delta II and Delta IV carrier rockets, marketing them to the US Government, and conducting commercial launches on behalf of Lockheed Martin and Boeing. United Launch Alliance is also taking a role in future manned spaceflight; partnering with Sierra Nevada Corporation and Boeing to launch the Dreamchaser and CST-100 spacecraft on Atlas V 402 and 412 carrier rockets respectively; providing a Delta IV Heavy to launch NASA’s Exploration Flight Test 1 mission in 2014; and developing the Interim Cryogenic Propulsion Stage (iCPS) for SLS, based on the Delta Cryogenic Second Stage. AV-032 flew from Space Launch Complex 41 (SLC-41) at the Cape Canaveral Air Force Station. A former Titan launch pad, SLC-41 was built in the 1960s and saw its first launch in December 1965. It was initially used by the Titan IIIC, and subsequently the Titan IIIE and Titan IV. In April 1999, the last Titan launch from SLC-41 failed to deploy a Defense Support Program missile defence satellite. The complex’s fixed and mobile service towers were demolished six months after the DSP launch, making way for the new Atlas launch complex, which was completed by August 2002, in time for the Atlas V’s maiden flight. AV-032 is the twenty-eighth Atlas to launch from SLC-41, and the fifty-fifth rocket overall. AV-032 was the fourth Atlas V to launch in 2012. The next launch is the delayed mission of AV-033 with the NROL-36 payload, currently scheduled for September. This launch had initially been expected to occur before RBSP; however a problem with range equipment at Vandenberg Air Force Base has led to its delay. Two more Atlas V launches are planned before the end of the year; one in October with an X-37B Orbital Test Vehicle for the US Air Force, and one in December with a Tracking and Data Relay Satellite for NASA.